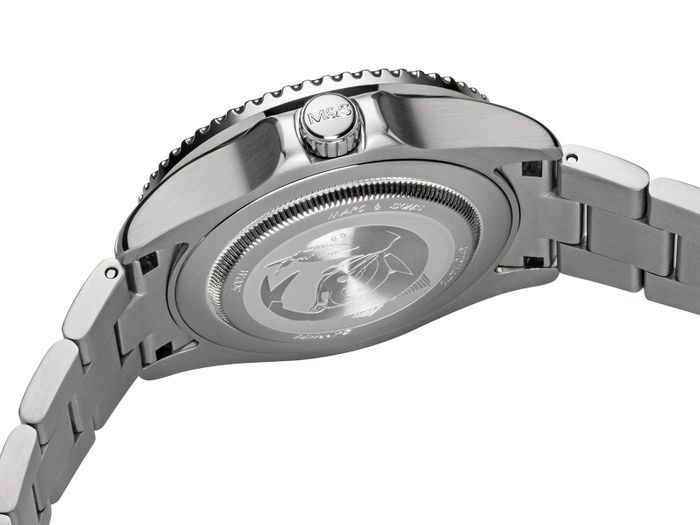 The watch is powered by a Swiss automatic movement by ETA. 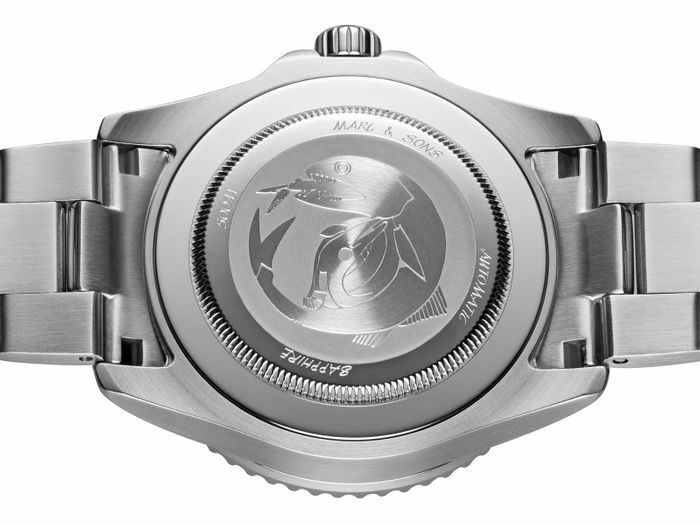 The ETA 2893-2 movement has a second time zone with an additional 24 hour hand. 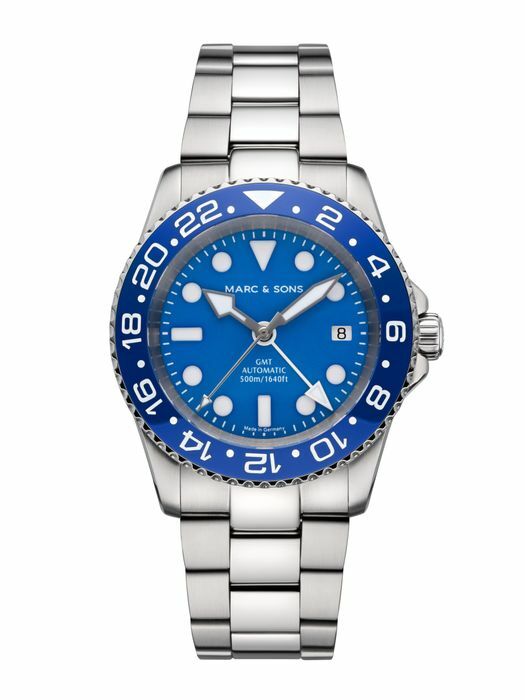 It is known for its reliability, is popular with pilots and is fine-tuned by our watchmakers before assembly. 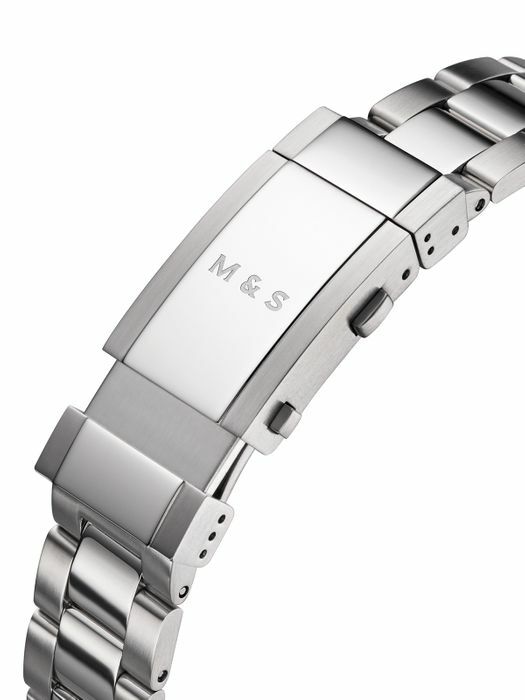 The movement is fixed and held by a stainless steel movement holder. 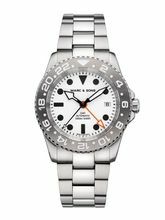 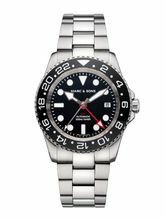 The model MARC & SONS MSG-007-4S has an easy to read black sandwich dial with Superluminova BGW9. 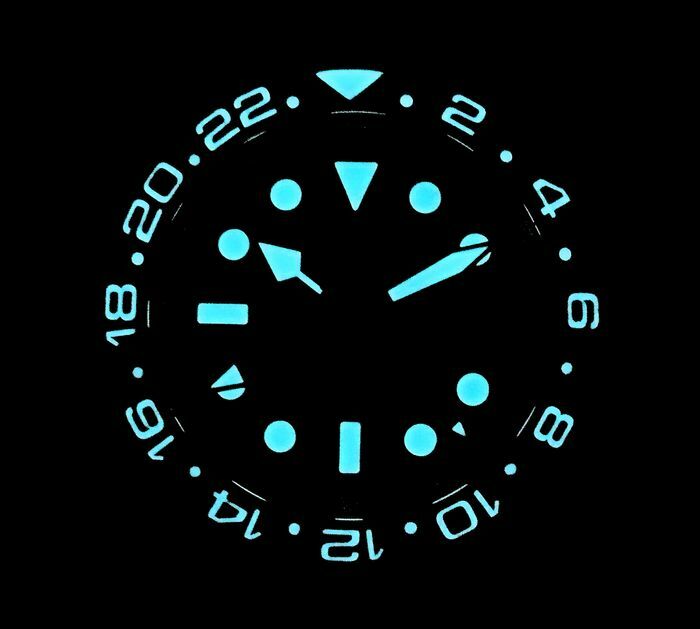 The reversible bezel has a blue ceramic inlay, which is also provided with Superluminova BGW9.